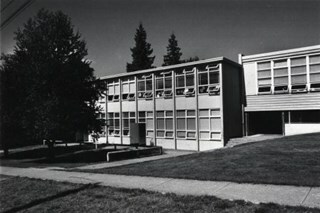 "Burnaby - 9847 Lyndhurst Street"
Photograph of Lyndhurst Elementary School. 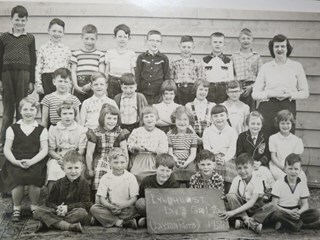 Photograph of a Lydhurst Elementary School class. Diane Stiglish is seated in the second row, third from right. 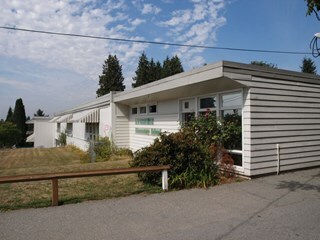 Photograph shows Lyndhurst Elementary School at 9847 Lyndhurst Street.